As a cyclist, that’s a pretty good motto. And the light built right into a helmet, now that’s a sight to see. High and bright. All the better for eyes on the road. And yeah, these LEDs do turn signals. You do the hand signal. Apple Watch does the thinking. And Lumos does the blinking. Automatic warning lights are pretty handy too. Lumos even syncs with Strava and your iPhone’s Activity Tracker. Whether you ride the night or ride the day, Be seen. Be Safe. With Lumos. Lumos is the first smart bike helmet that beautifully integrates lights, hard brake, turn signals, iOS app and helmet into a single cohesive whole. Featuring super-bright LEDs in the front and back of the helmet, Lumos elevates your lights, making them naturally higher and easier to see, ensuring greater visibility on the road. Lumos integrates a great set of lights directly into your helmet. Ten bright white LEDs on the front, 38 red LEDs on the back, and 11 amber LEDs for each turn signal ensure you really stand out on the road. Thanks to smart gesture-recognition algorithms, the Lumos app on your Apple Watch recognises when you’re making a hand signal and then automatically activates turn signals on your helmet. Or you can simply tap the corresponding button on the included wireless handlebar remote. Connect your helmet with the app on your iPhone and seamlessly record your ride activity. Lumos automatically records your bike ride activity whenever your helmet is turned on, and uploads it to your Apple Health or Strava activity. Cable length: 1 m/39.4 in. I can't speak more highly of the Lumos bike helmet--it's extremely comfortable and light on the head. And speaking of light, there's the 48 LEDs that make you I can't speak more highly of the Lumos bike helmet--it's extremely comfortable and light on the head. And speaking of light, there's the 48 LEDs that make you extremely visible to traffic from a long distance. The turn signal indicators are a blessing when the streets are teeming with cars and the rear illumination is much more prominent than your basic seat post mounted bike light. To be clear, the Lumos helmet is NOT designed to illuminate the road--you definitely need a traditional bike headlight for that as the Lumos is designed to make you visible in traffic and visible you are! My only complaint, and it's pretty insignificant, is that the Apple Watch implementation is not quite there. Although I went through all the calibration steps as directed, the helmet's turn signal indicators seem to have a mind of their own in that they spontaneously turn on even though I've not moved my arm to initiate the turn signal. I suspect that the accelerometer in the Watch reacts to bumps in the road which causes the turn signals to engage. That said, I use the handlebar turn signals which work like a charm. I eagerly await the next firmware update to address those extremely minor issues. I must say I am "in love" with this helmet. I have ridden with this helmet on three separate rides in the last four days. Two rides I had to ride in complete da I must say I am "in love" with this helmet. I have ridden with this helmet on three separate rides in the last four days. Two rides I had to ride in complete darkness. The helmet not only illuminates but makes me feel so much safer since I have the extra layer of visibility. Also I am very pleased with how comfortable the helmet is and how easy it is to adjust. I have always traditionally worn another major branded helmet that is sold in bike shops and sports stores; and I must say as far as aerodynamics, breathability, comfort, and safety, the helmet either meets or exceeds the competition. I'm all about cyclist safety so I have handlebar lights already. But I prefer to be as lit up as possible, since I ride home in the evenings. It fits comfortabl I'm all about cyclist safety so I have handlebar lights already. But I prefer to be as lit up as possible, since I ride home in the evenings. It fits comfortably on my head. PROS - it's a nice looking helmet with bright lights. I like that it's rechargeable rather than having to replace batteries. The signaling feature works fine us PROS - it's a nice looking helmet with bright lights. I like that it's rechargeable rather than having to replace batteries. 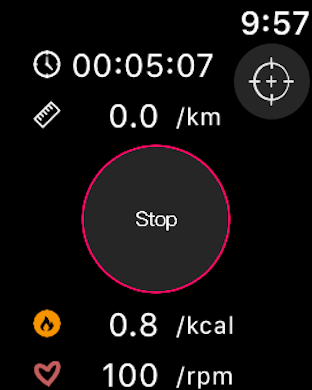 The signaling feature works fine using the handlebar remote (see more on Apple Watch gestures below). CONS - the Apple Watch integration was worse than non-functional. My signal would turn on at seemingly random times and then wouldn't turn on when I did the gestures I had set up. Once it was on, it was hard to get it to turn off; unless, of course, I wanted it to stay on, in which case it would turn itself off. In the end, it probably made my ride less safe because I was sending misleading signals to the cars around me and I was constantly distracted by what my helmet was doing instead of focusing on the ride. I gave up on using any of the "smart" features (so called) after about 2 days. Obviously this helmet is WAY too expensive to be just a helmet, which is what it has become for me. If the smart features are important to your purchasing decision, I would stay away. And if they are not important, find a less expensive option. As an avid cyclist I have a collection of helmets and bikes. This helmet is extremely comfortable and lightweight. It s well vented for keeping you cool. The li As an avid cyclist I have a collection of helmets and bikes. This helmet is extremely comfortable and lightweight. It s well vented for keeping you cool. The lights are a definite game changer. The brightness is amazing and the ability to control them by switch or watch is fantastic. The only issue I had with my first use was the battery life. I made it about 1 1/2 hrs into my ride and the battery in the helmet was dead after starting on a full charge. I had it on slow flash so not sure if that affected the performance. Otherwise.......great helmet. Doing hand signals I've never really had a car yield to me. But with the blinking directional lights, they do. Definitely going to keep riding with it in my com Doing hand signals I've never really had a car yield to me. But with the blinking directional lights, they do. Definitely going to keep riding with it in my commutes. Is this review useful?Turn signals actually WORK! Does the Lumos helmet work with Apple Watch serie 0? Does the Lumos helmet have a CPSC or ASTM rating, please? If so, what it is?